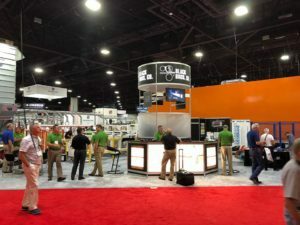 Just as we have every year since its iteration, Black Bros. Co. once again exhibited our world class laminating and roll coating machinery at the International Woodworking Fair, held August 22-25 at the Georgia World Congress Center in Atlanta. With estimated attendance levels n ear record-highs, the Black Bros. booth was packed with manufacturers looking to reduce cost and improve efficiency and performance, something that Black Bros. has been known for for decades. 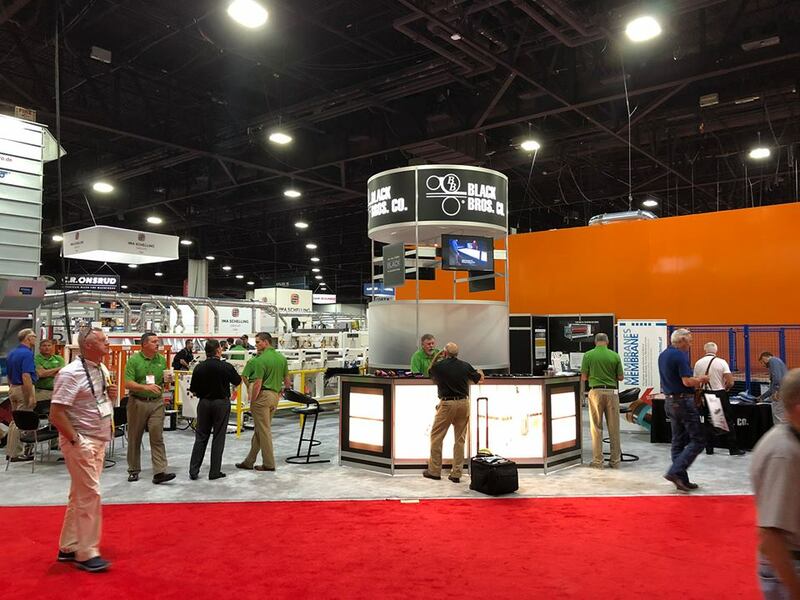 The signature item at the booth was the Black Bros. Panel Express laminating line, featuring an in-feed Scissors Lift, 495 Panel Cleaner, 775 Adhesive Spreader, Laminate Indexing Station, Panel Express, and an out-feed Scissors Lift. Black Bros. held live demonstrations of the line four times a day, and attendees were able to see first-hand how the system effectively, accurately and efficiently laminates — in the case of IWF 2018 — high-pressure laminate to particleboard. IWF 2018 was the first time many attendees were able to witness the recently-redesigned Laminate Indexing Station first-hand. Long a staple of laminating lines and systems, the newly-improved LIS allows for even more convenience and efficiency. Also on display was the Rapha RDW Turnover Device, which allows for convenient transfer of 3-dimensional laminated parts.